HIGH FLOW: 1/4" Female NPT. 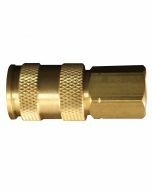 1/4" Basic Flow Size. 300 PSI Max Inlet Pressure. 74 SCFM. 250 Degree F Max Temp. AVAILABLE: In either Brass or Steel. 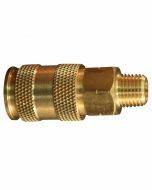 (Milton #S-761-1 for V-Style 1/4" FNPT Steel Plug). V-STYLE: Milton V-style, ColorFit V-style, + competitor V couplers/plugs are all compatible! Milton V-Style couplers will also accept M-Style and A-Style plugs. IDEAL: For High Volume, Low Pressure pneumatic applications. SLEEVE RELEASE: PUSH coupler (V, M, or A-Style) to connect to plug, PULL sleeve back to remove. Buna-N seals. 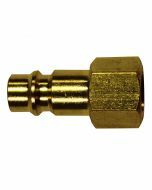 V-Style 1/4" FNPT high flow brass plugs are used in applications that require high volume, low pressure. Maximum working pressure of 300 PSI. 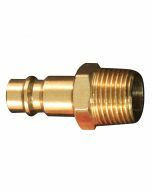 1/4" basic flow size and air flow of up to 74 SCFM. 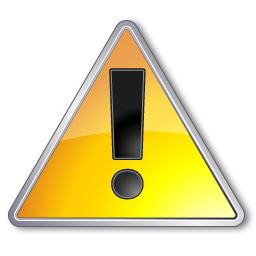 We highly recommend steel plugs for use with any type of percussion tool (such as: impact tools, air grinders, polishers, drills, etc.). 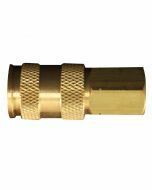 The use of brass plugs with these tools with cause damage and premature wear to the couplers and plugs.